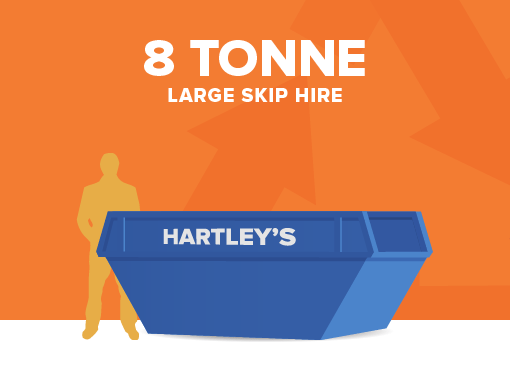 Our 8 Tonne Large Skips are frequently used for large excavation jobs or for complete house clearances and major renovation projects. The capacity of this midi skip is 8 yards³/6.12m³. The skip dimensions are (average) Height 1.22m (4″) | Length 3.2m (10″ 6″) | Width: 1.75m (5″9″).